It’s been a while since we’ve done any ‘shirt swapping’, in the sense of taking a look at the current and historical kits of another club in addition to Hull City. 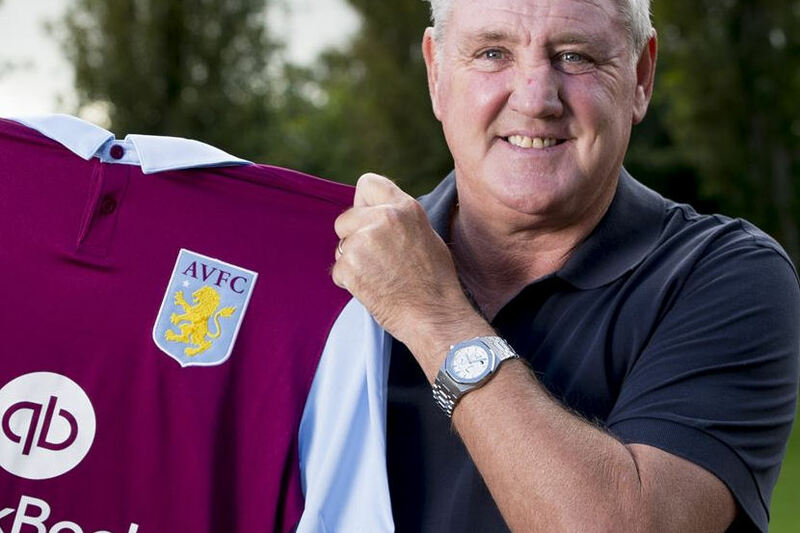 With the 2017/18 season upon us, we thought we’d cast a critical eye over the garb of our opening day opponents, Aston Villa, selecting their three best home kits, the worst, and judging the latest offering. *Disclaimer* These things are naturally subjective, and done just for amusement, so don’t get bent out of shape if we’ve missed out a kit that you really like. 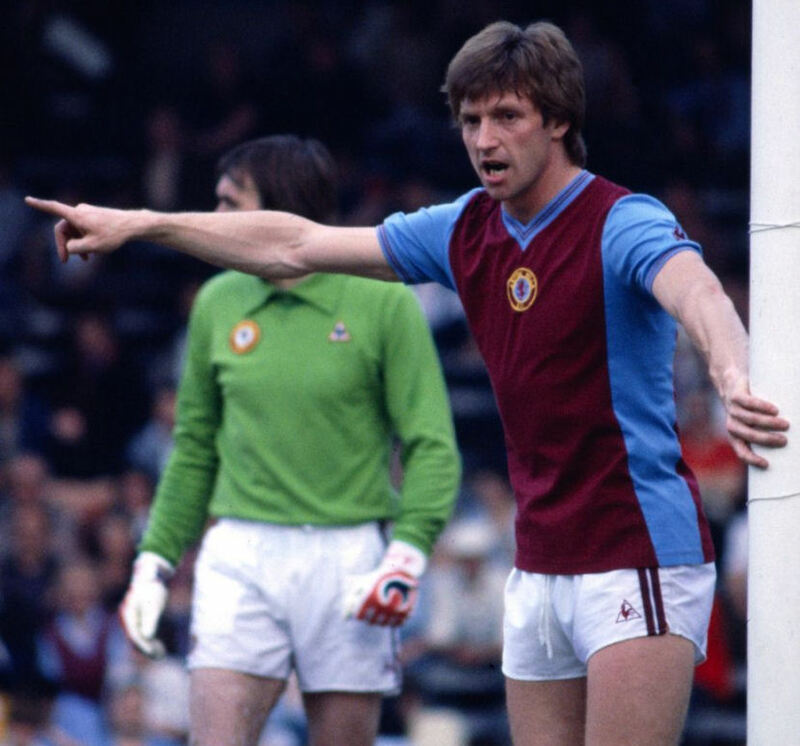 The look of claret bodied shirts with blue sleeves has been an Aston Villa staple since the late 1800s, but the Villans have experimented on occasion. Between 1981-1983 there was an Ajax-ification of the basic design premise, with a thick claret band parting blue that was now more prominent, part of the body panels rather than just on the sleeves. There were several versions of the shirt, a sponsor was added in 1982/83 and a set for use in UEFA competition pared down use of the maker’s mark, but for our money the unsponsored domestic 1981/82 version is best. This had a Le Coq Sportif logo on each sleeve and a centrally placed club crest. All versions of this shirt were matched with white shorts and blue socks. Macron referenced this kit in 2013/14, but it wasn’t a patch on the original, worn when Villa were defending the title and cutting a swath throughout Europe, winning the Champions Cup against Bayern Munich. Hummel’s 1986 Denmark primary kit is one of the most iconic designs ever produced, and the template worked well for Southampton, Coventry and Hellas Verona too. 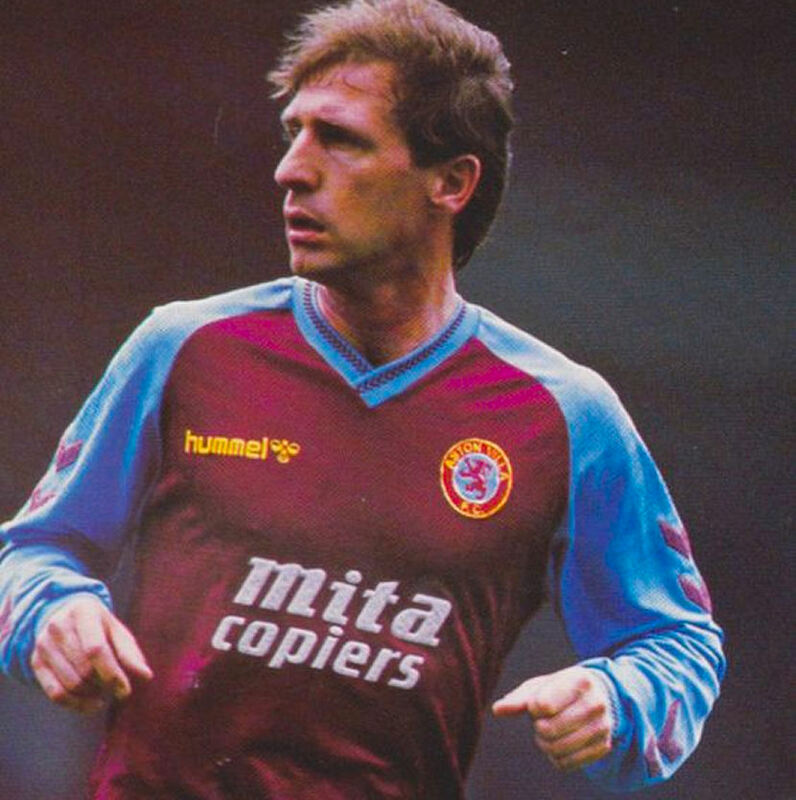 A claret and blue version didn’t quite hit the spot when used by Villa between 1987-89 though, but Hummel’s follow up, worn for the 1989/90 campaign, fared much better. 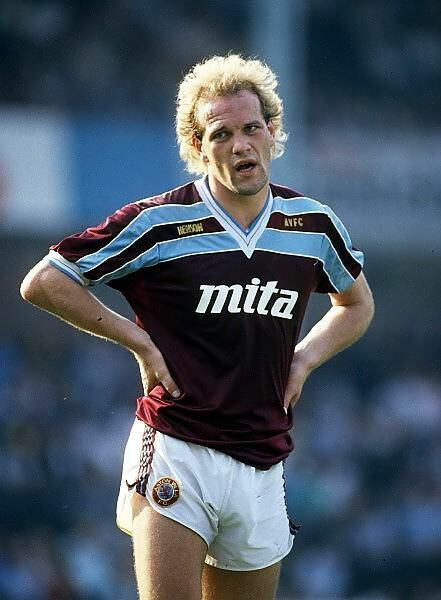 The crossover V neck of the 1987-89 shirts was updated with chevrons replacing thin stripes, as was the Raglan sleeve construction, only this time the body was solid claret and the sleeves all blue. Hummel’s chevron logo appeared in pairs on each sleeve (the long sleeved version had two distinct pairs on each sleeve), whereas previously they were repeated inside sleeve ‘tape’. 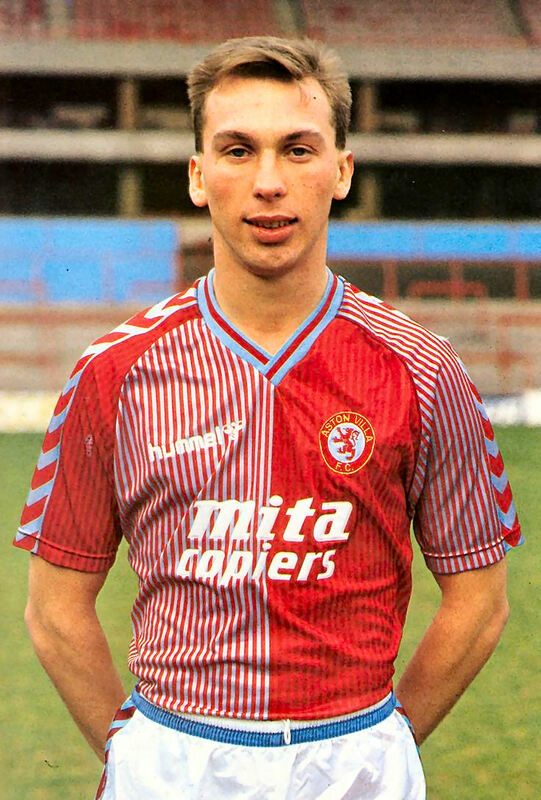 Overall, this was a much more restrained shirt than the one it replaced, but that design restraint meant the ensemble looked far more like what you’d expect from a Villa kit. It can be hard to let preconceptions go, and in the back of my mind there’s an automatic association with Nike and shirts that are overdesigned and garish. Sure, they’ve got form when it comes to that, but frankly which manufacturers haven’t? Nike have in fact produced some great shirts that are devastatingly simple: Holland 2002, Arsenal 2010/11, England 2013/14 and France 2014 all qualify, as does the Villa home from 2009/10. 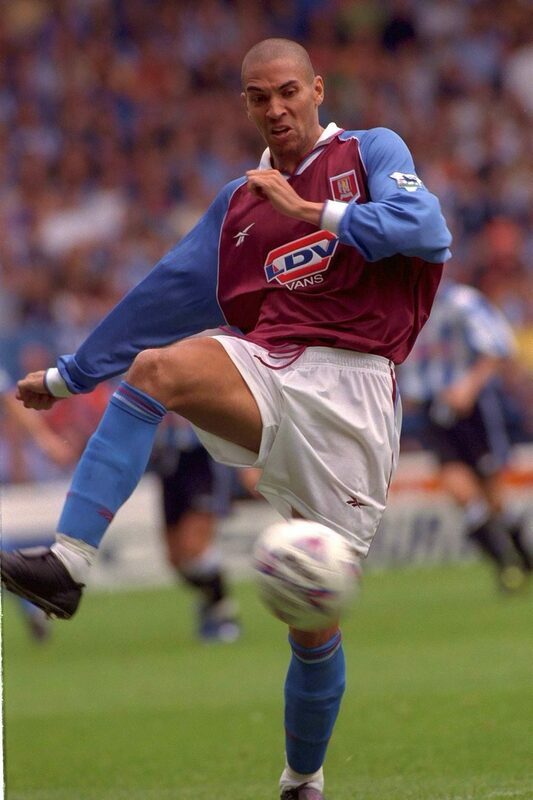 It featured a simple round collar, with a thin blue yoke panel bridging the gap between the collar and cuffs on an otherwise claret shirt. 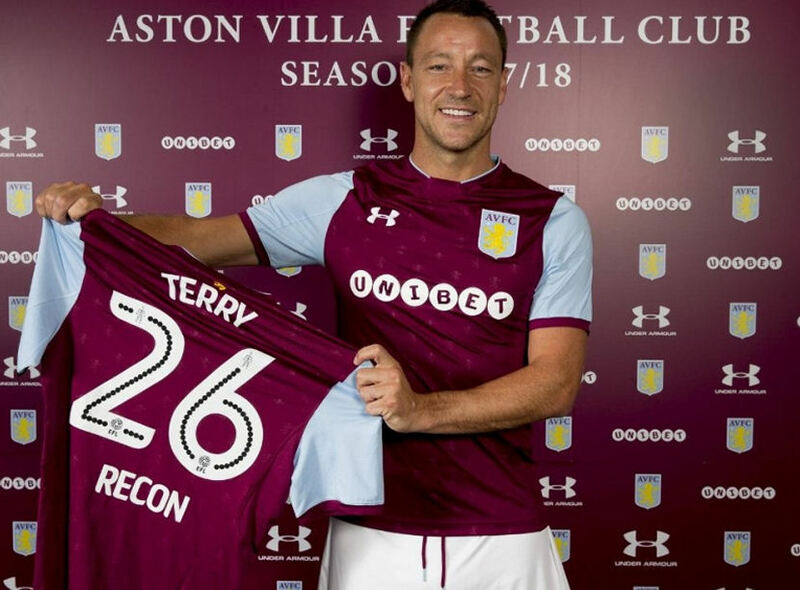 In future years sponsors would insist on fussy logos accompanying their wordmarks, but at this point Villa had the name of their nominated charity Acorns ( a Birmingham and West Midlands children’s hospice) in a clean, sans-serif and all lower case font. Lovely. 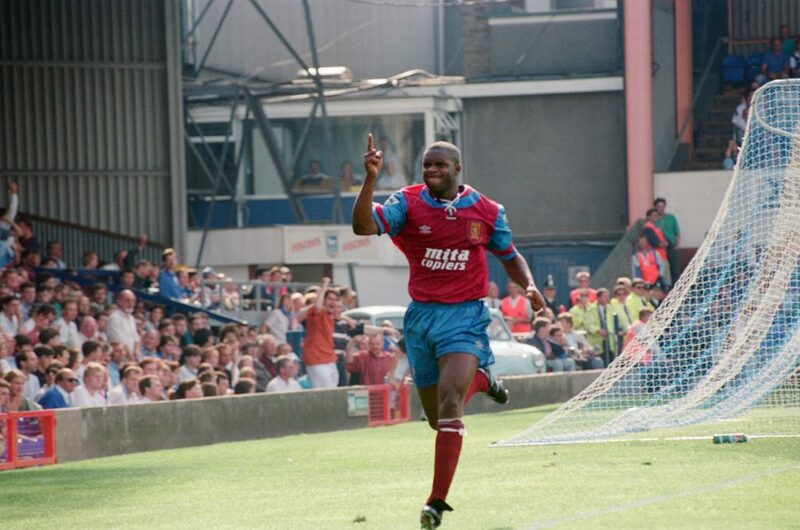 Honourable mentions… 1985-87 Henson, 1992-93 Umbro (with lace up collar), 1998/99 Reebok. There exists a strange kit netherworld inhabited by shirts that are quite attractive designs, but that don’t work as shirts for the team wearing them. This is one such example. It’s hard to go wrong with claret and blue, they work so well together, and those tones in stripes looks rather good indeed. 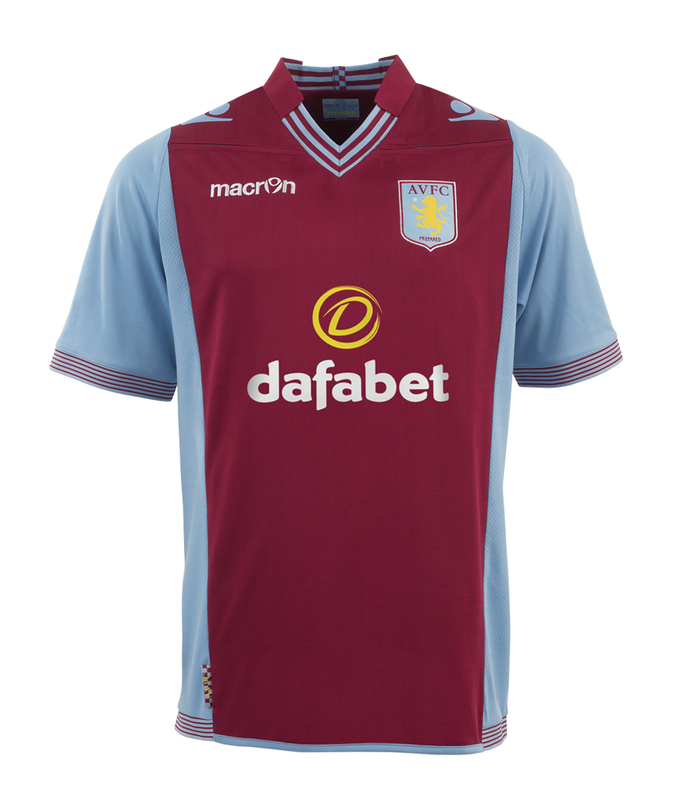 It’s just that this kit doesn’t say Aston Villa. The colours are right, but the styling is wrong for the club. 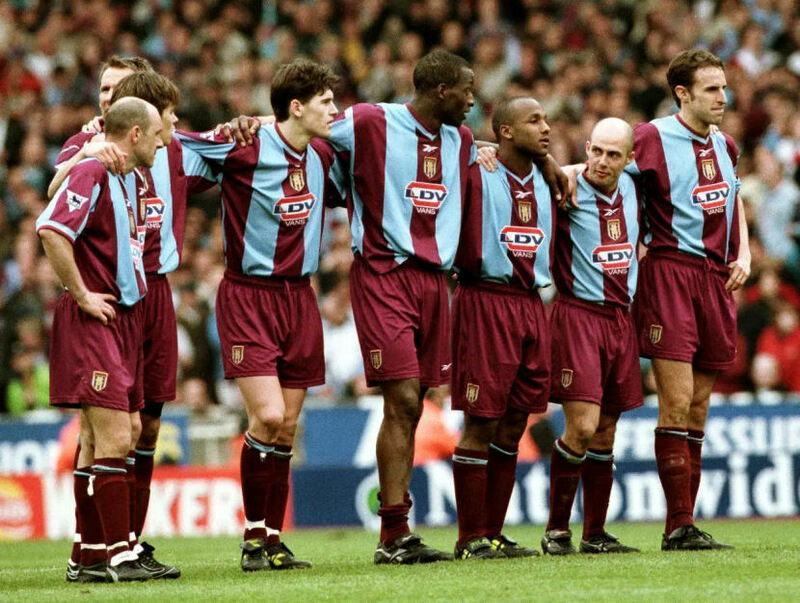 An FA Cup final appearance will often render a shirt memorable, and this strip is certainly that, but a Wembley outing doesn’t make up for this very good shirt being a bad fit for this club. Villa are in the second year of a deal with Under Armor, the Baltimore (USA) based brand. They seem to be going for a ‘luxury bag’ look, with embossed lions throughout the front and back pieces. A would be V-neck collar is squared off by an upside down pentagon shaped panel that straddles the border of ‘interesting’ and ‘fussy’. There’s the standard issue betting sponsor on the front, with Unibet’s interconnected balls logo tastefully applied in white, avoiding their brand colour of green was a wise choice. 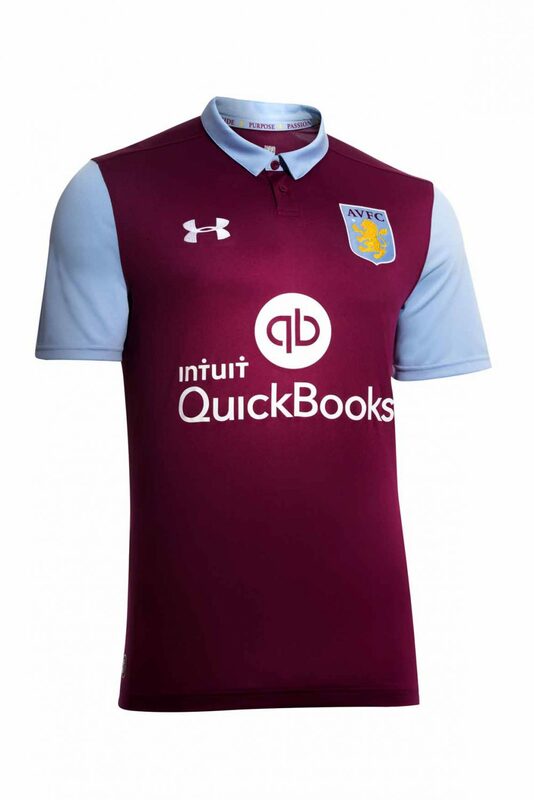 There’s nothing to get excited about here, and nothing to enrage either, if this strip represents an upgrade on the first Under Armor Villa home shirt, it’s ever so slight an upgrade. The 2016/17 shirt had an unwieldy sponsor as a downside, but a tidy collar and placket as an upside. The embossed lions feel like they’ve been added just to create a different look from the plain finish of the previous year and whereas the rounded seams on the sleeves may offer a better fit than the straight cut set in sleeves of 2016/17, visually it neither adds or subtracts to the overall look.